Expansive Sea viewing deck with outside BBQ and fireplace. 3 bathroom 3 bedroom which can sleep up to 6 people (Studio bedroom with ensuite open only for bookings with more than 4 people). With TV, Netflix and SKY TV (Sports package). State of the art Kitchen and Laundry. Free unlimited WiFi and NETFLIX. The house has 3 bedrooms (3rd bedroom is an office studio which would be open if the house is booked for more than 4 people). The main bedroom has a king bed, SmartTV, wardrobe, reading chair and ensuite. The second bedroom has a king bed, SmartTV and wardrobe. The studio has a queen sofa bed, SmartTV, DVD, SkyTV wardrobe and ensuite. All TVs have Netflix and NZ Satellite TV. There are 3 bathrooms (3rd bathroom open only for more than 4 people bookings) with showers, underfloor heating, hair dryer, towel heater & wall heaters. Toiletries and towels are provided during your stay. The living area is located next to the kitchen with an amazing view to the sea, SmartTV with Netflix and NZ Sky. Dinning for up to 8 people with wood burner, heat pump and a reading area with a sofa. State of the art laundry and kitchen fully equipped with stove, bench top cooker, microwave, kettle, toaster, dishwasher, big fridge and freezer and lots of cookware, pots/pans for those who love to cook! Tea, coffee, sugar, milk, saltl & pepper are provided during your stay. Tucked away behind closed doors beside the kitchen with washing machine, dryer, iron and ironing board. Washing powder is provided for your convenience during your stay. Outside is BBQ with large table and fireplace to enjoy the expansive sea view. Hi there! We are Maranui Luxury Accommodation, a new and fresh brand from New Zealand. Our aim is to make you spend a lovely time in your holiday or business trip. 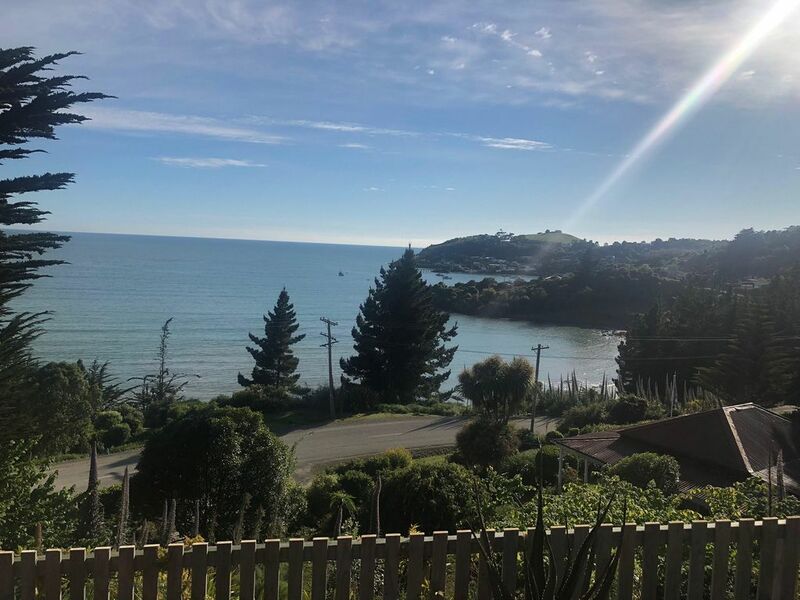 We offer holiday homes with a wide range of options, from boutique to Luxury and located in different locations in the South island. The properties are usually themed on different styles and suitable for couples, families, friends or single persons in business or holidays trips and all of them are specially designed to make you feel like home! If you have any inquiry, please do not hesitate in contacting us. We have a big team with a long experience on the area. Looking forward to hear from you! Maranui Luxury Accommodation team.